Drug charges can have a devastating impact on your future. The consequences of a drug conviction can include extensive jail time, very serious fines and other issues such as difficulties securing work, credit, and loss of governmental housing or financial aid for college. Prosecutors take drug charges very seriously. Adding that prosecutorial focus and the seriousness of the consequences, no one should face drug charges without defense counsel representation that they can completely trust with their future. At Fiumara & Milligan Law, PC, we understand what is at stake for those facing drug charges. We build strong cases for our clients that help them secure the best possible resolution. Many drug cases hinge on how the drug evidence was gathered. Everyone has basic rights to be free from illegal searches and seizures under the Fourth Amendment. Too often, police fail to respect individuals and their rights. If a violation of your constitutional rights occurred, any evidence gathered in that search cannot be used in court against you. We will conduct a thorough investigation of the facts of your case to determine if your rights were violated. If there was a violation of your rights, we will work tirelessly to suppress that evidence and secure you an acquittal. When drug charges threaten your future, we can help. 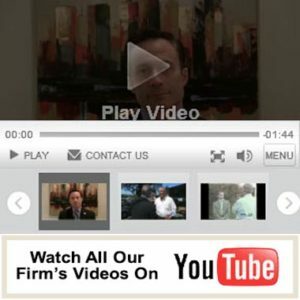 Turn to the skilled and experienced attorneys of Fiumara & Milligan Law, PC. To schedule a free initial consultation, call 707-387-0940 or 415-234-0142 or contact us online. We are available 24/7. Our operations will connect you to one of our attorneys, nights and weekends!